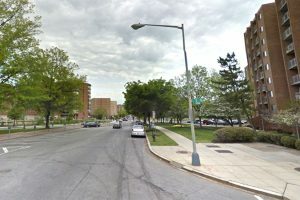 A teenage boy with a knife robbed a man in the NoMa area last night, according to authorities. The armed robbery happened on the 900 block of New Jersey Avenue NW about 7:15 p.m. Wednesday. The victim was about a block west of the Walmart Supercenter in the area when the teen came up to him, police said. “Give me your wallet, phone too,” the boy said, while flashing a knife, according to authorities. The victim then handed over his wallet and cellphone. The teen ran off with the items soon after. Police arrested a 16-year-old boy in connection with the crime.